The Standard Media Group recently sacked a numerous top Journalist and by the look of things, their major competitor Nation Media Group (NMG) too is following the trend. 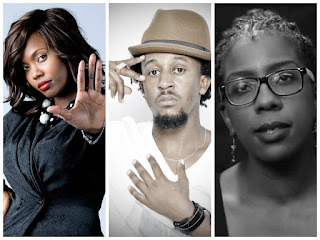 A popular radio station which is a subsidiary of NMG, Nation Fm recently axed some of their unsurpassed radio presenters including Sanaipei Tande, Ciru Muriuki and Antoneosoul, without consultation or notice. Dear loyal listeners! Sad to inform you that today was my last day on @NationFMKe..as I just learned ! No hard feelings! I will miss U All! Later at Monday night, Ciru Muriuki, who hosted Late Night took to Twitter to announce that she had just worked her last day at the Nation Centre based radio station. Minutes later, her co-host, Antoneosoul also confirmed his departure.